1. 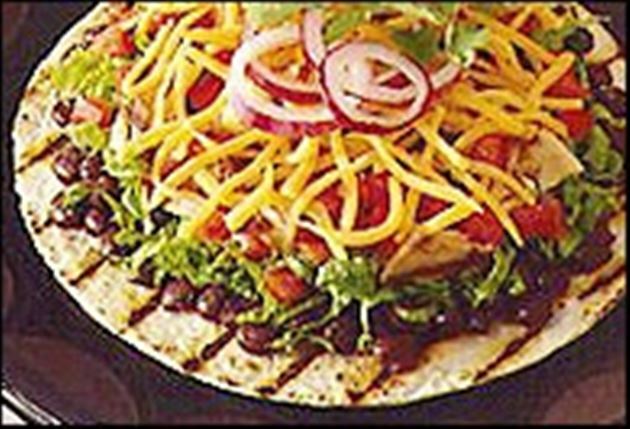 Grill tortillas in a single layer on a grill over medium-hot coals. 2. Place beans into a small sauce pan and cook over low heat until warmed. Spread 1/4 of the beans onto each tortilla. 3. Top each with chicken, lettuce, tomatoes, cheese and onion rings. Garnish with cilantro, if desired. Enjoy this delicious Chicken Black Beans Santa Fe tostadas Mexican recipe!